Anyone know who this band was comprised of? There's startling little information about them on the internet and of course their albums give up no secrets in typical fashion. Can't ID the player but sounds like a Fender guitar, at least to my ear. Don't know anything about them but I'm completely jealous they got there before me with the band name. Unknown mid 50s through 1960s era Hawaiian steel out of Southern California?? The default guess is a Tavares brother. As far as I know, The South Sea Islanders never recorded under that name. But they are on some of the tracks on the "Hukilau Hulas" LPs and CD that you may have heard---with Ernie on steel. The stuff mentioned below with Poncie Ponce is pretty cool too. ".................Ho`olohe Hou Radio honors Freddie Tavares by spinning some of his most rare recordings. Nowhere else are you likely to hear his 1960s recordings backing Hawaiian Eye co-star Poncie Ponce or the many recordings on which Tavares was not credited – such as with Harry Owens, Sam Koki, William Kealoha, The Polynesians, and The Outriggers. 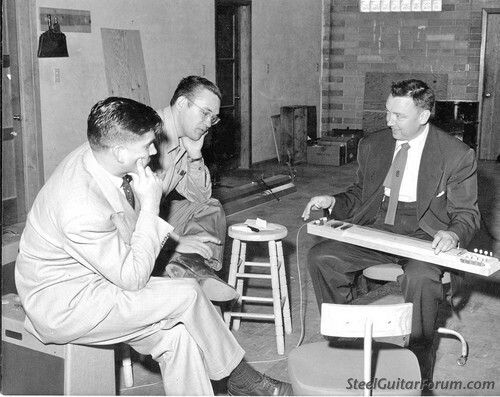 You will occasionally hear his work in the country vein with Wade Ray and Foy Willing. 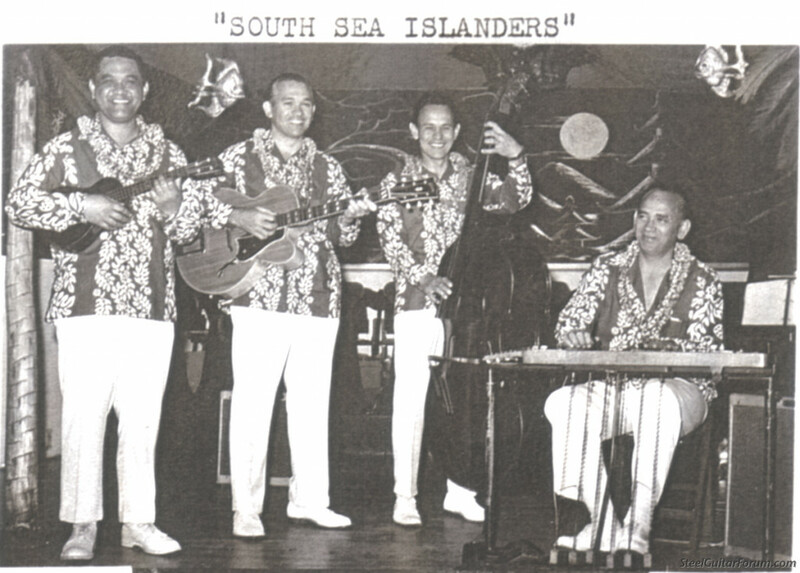 The station archives are also home to Tavares’ extremely rare recordings with brother Ernie and their frequent West Coast collaborator Vince Akina under the name the South Sea Islanders (largely the same group heard on the Hukilau Hulas recordings of the 1960s). And in our “Rarities” segment, you will even hear Freddie Tavares’ final public performance – at the 1985 Steel Guitar Ho`olaule`a in Waikiki hosted by the Hawaiian Steel Guitar Association.........."
Wow great find Mitch! Thanks so much! BTW - this is my favorite of their albums so far!